For decades, the secrets of one of the most successful and acclaimed creative endeavors the world has ever known have been locked away, but on March 16 the safe will be cracked open as the documentary “Muppet Guys Talking: Secrets Behind the Show the Whole World Watched” explores how remarkable creativity was allowed to grow in an atmosphere of playfulness and collaboration with the nurturing support of Jim Henson. Directed by Frank Oz, “Muppet Guys Talking” will be available to fans around the world at MuppetGuysTalking.com, where viewers will be able to purchase the film beginning March 16. Anyone who signs up at the film’s website in advance of its release will also receive special additional “Muppet Guys Talking” content, be first to get the link to buy the film, and be first to receive details of limited-time offers when the film is released March 16. “Muppet Guys Talking” brings together five of the original Muppet performers who discuss with each other their individual approaches to creating memorable characters and the impact Jim Henson had on their lives and work. Jerry Nelson, whose Muppet creations have included Count von Count, Snuffleupagus, Lew Zealand and Gobo Fraggle. Fran Brill, whose Muppet creations have included Prairie Dawn, Zoe, Little Bird and Betty Lou. Dave Goelz, whose Muppet creations have included The Great Gonzo, Dr. Bunsen Honeydew, Zoot and Boober Fraggle. Bill Barretta, whose Muppet creations have included Pepe the King Prawn, Johnny Fiama, Bobo the Bear and Big Mean Carl. Frank Oz, whose Muppet creations have included Miss Piggy, Fozzie Bear, Cookie Monster and Grover. 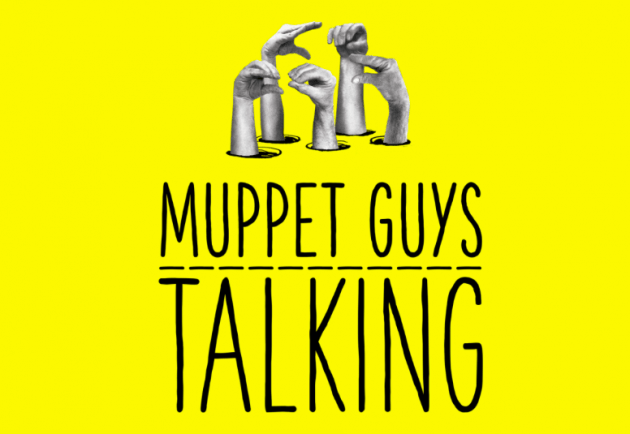 Already, tens of thousands of fans from dozens of countries around the world have registered at MuppetGuysTalking.com, where “Muppet Guys Talking” will be available beginning Friday, March 16. “The Cat in the Hat” animated feature to be made by Warner Bros. Older Older post: “The Cat in the Hat” animated feature to be made by Warner Bros.